Softball camps in NJ provide youth athletes a one of a kind opportunity to build confidence, develop skills, and meet new friends in the off season. Finding the right summer softball camps in New Jersey is an important decision and can help take your game to the next level. With so many softball camps in New Jersey it can be a challenge to find the best fit for your child’s needs. Whether you are searching for beginners or advanced high school athletes Sports Camp Connection can help. Search below to find free information on quality NJ college softball camps. The Rutgers State University Women's Softball Camp located in New Brunswick NJ offers youth athletes an amazing opportunity to learn from top conference coaches and staff. Come experience Scarlet Knights Softball and take your game to the next level. Request more information today! A full baseball and living experience. Immerse yourself in baseball and new friends off and on the field. Depending on the location choose from General All Skills Camp to High School programs. Live, eat, breathe and sleep baseball at this fantastic baseball camp! 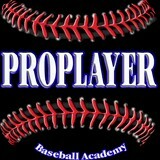 Academy of Pro Players Baseball & Softball Camps is designed for boys and girls from the ages of 7 to 18. The Baseball & Softball Camps teaches at all skill levels. One bit of information, one different translation of a fundamental, or one innovative instruction may just smooth out your entire approach to the game. The Hun School of Princeton Sports Camps for Baseball will focus on baseball fundamentals along with recruiting, conditioning and weight training. Hun School varsity baseball coach Bill McQuade will lead the baseball camp along with a talented group of alumni and current students. The Big League Baseball Camp has the same objective it has had for over 60 years, to help every camper improve his skills! Big League Baseball Camp is known for offering that personal touch and giving the individual attention some campers may need to truly learn and understand the game more thoroughly. The Hit Doctor Winter Baseball & Softball Camps are the concept of National Director Joe Barth Jr., former head coach (1981-2000) of the Brooklawn American Legion BB team. Joe Jr. and his son, Bob Barth, are considered by both college and professional coaches to be among the finest coaches and baseball instructors in America today. Steve Balboni Baseball School Summer Camps bring 25 years of experience as a professional baseball player and coach to youth athletic training. Steve and his dedicated team know what it takes to play at the highest level. Coaching focuses on hitter development from both the mechanical and mental aspects. Speed, Strength & Agility Training: Warm up, Hitting, Infield/Outfield, Pitching & Catching, Base Running, Speed, Strength & Agility Training. All Star Baseball Camp is in its 28th consecutive year will feature beautiful dorms at Ramapo College of New Jersey featuring air conditioning, phone, refrigerator/freezer, computer line, cable TV line, and private bathrooms in every room. Our baseball camp dorms will be close to the dining hall and playing fields. Want to broadcast sports like a professional? Bruce Beck and Ian Eagle Sports Broadcasting Camp will help you do just that. A broadcasting camp for boys and girls ages 13 and up to receive expert critique and tips from assorted sport broadcasting professionals. Warm up, Hitting, Infield/Outfield, Pitching & Catching, Base Running, Speed, Strength & Agility Training. The Spartans Summer Camp runs full and 1/2 day sports camps all summer long. The Spartans Summer Camp also run indoor baseball and softball clinics throughout the year in our private indoor training facility - The Spartans Sports Academy.